I am rather preoccupied with wheat grass at the moment. 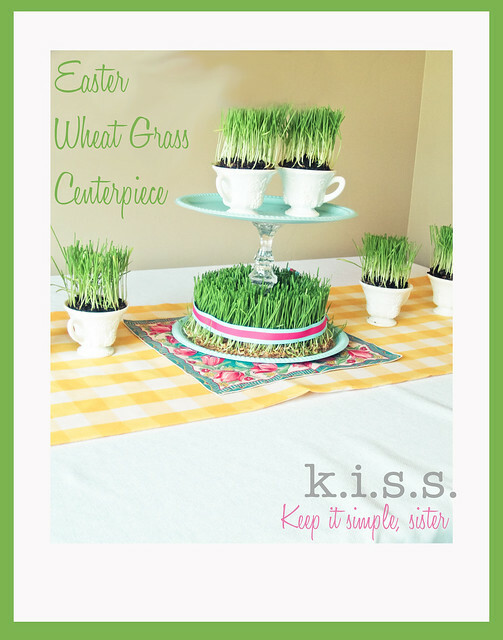 While wheat grass centerpieces for Easter are certainly not a new concept, I tried to find a unique way to display this Easter staple. 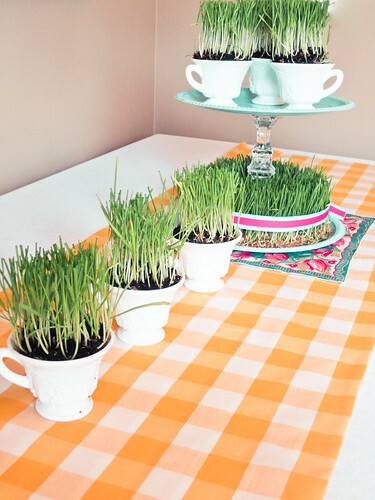 So, using some vintage and vintage-inspired elements, I created this fun wheat grass table scape. Friends, do not be intimidated at the thought of growing wheat grass. 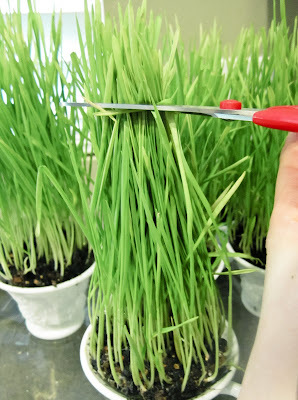 Speaking as a woman who has killed cacti and every other form of plant matter, I must tell you, it is nearly impossible to ruin wheat grass. I've grown it from seed multiple times this Spring. It is cheap, easy fun (you may have all of the supplies already on hand) and what I didn't anticipate is how much four-year-old would love being involved. So let's gather the supplies and the kids and get started! 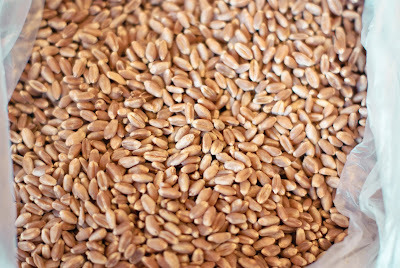 1 cup of hard red wheat ( available in health food stores for about 95 cents/lb. My 1 lb bag was enough for multiple projects). 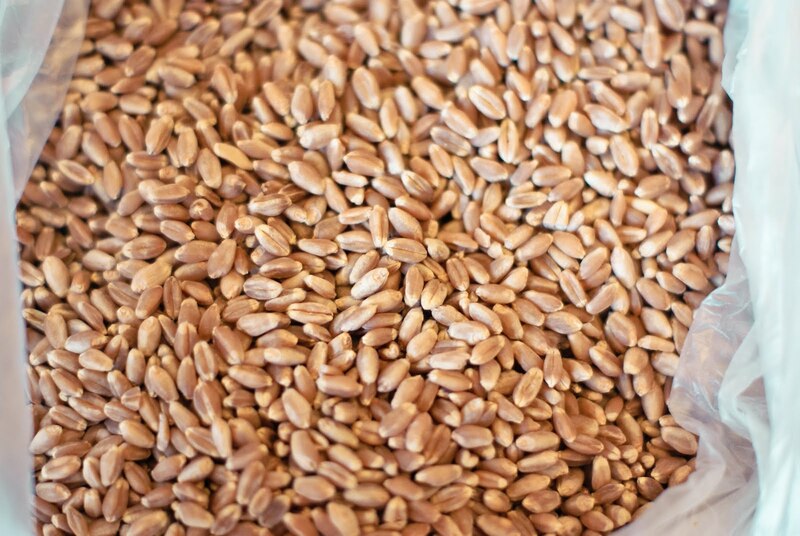 UPDATE: Do not use dry-packed wheat from your pantry or food storage. It won't sprout. A fabulously spray-painted Blue Ocean Breeze vintage-inspired dollar store dessert stand (read here how to make it) or use your own cake/dessert stand to display the grass. For this project, I grew wheat grass in soil and on a paper towel. Did you know you can grow it on just paper towels? Neither did I until I started experimenting. I love the paper towel method because you don't have the mess of soil and it gives you so many unique options for displaying it. For this project, start both your soil-grown and paper towel-grown seeds on the same day. Kids can complete most of these steps with your supervision and they love this project because the grass grows so quickly, it actually holds their interest. 1. 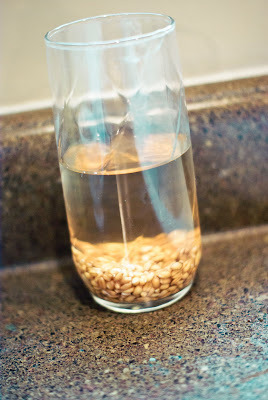 Soak 1/2 cup of seeds in water for 24 hours (you can leave it for up to 48 hours if you tend to get distracted like me, and still plant it). 4. Spread your seeds on top of the soil. You want your grass to be dense, so the whole surface of your soil should be covered with seeds, but they shouldn't piled on top of each other. 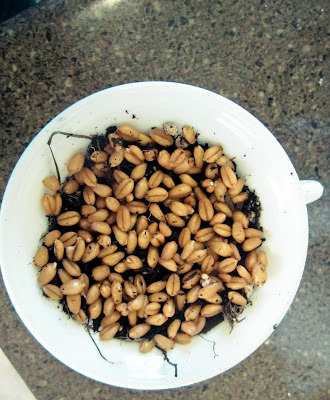 You may have left over seeds depending on the size of your planters. 5. 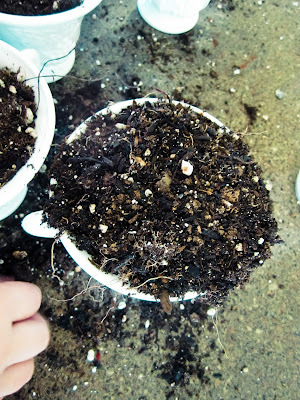 Cover the seeds with a very thin layer of soil- just enough so they aren't exposed. 6. Water twice a day. 7. Within about 48 hours, you should see little green sprouts- very exciting! 8. Transfer your planters to a sunny spot (near a window) and keep the soil moist. Watering 1/4 cup per planter, twice a day, worked well for me. 10. Give it a hair cut (my daughter loved this part) and show it off. Again, get the kids involved in this! 2. 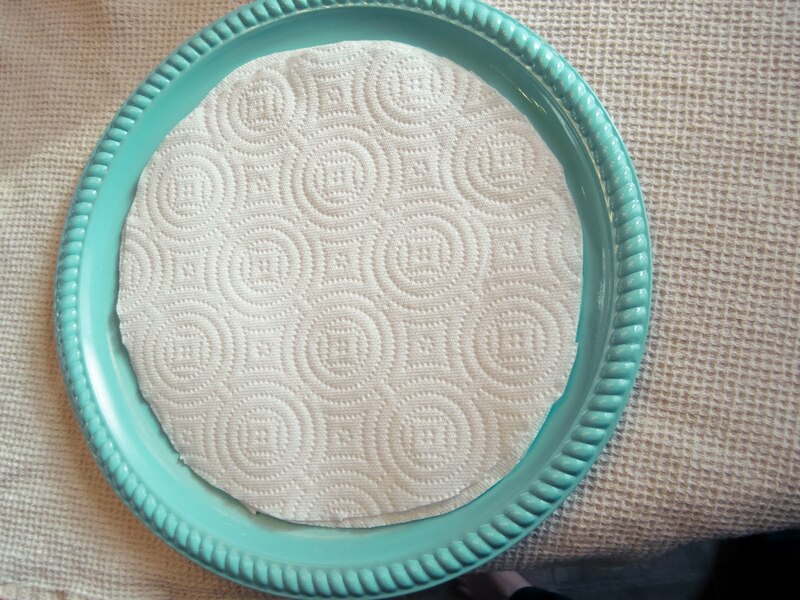 Stack 3-4 thick, absorbent paper towels on top of each other and cut in a circcular shape that will fit on your display plate. 3. I used a cup to trace and cut a circle in the center of mine to accommodate the center column in the desert stand display. 4. 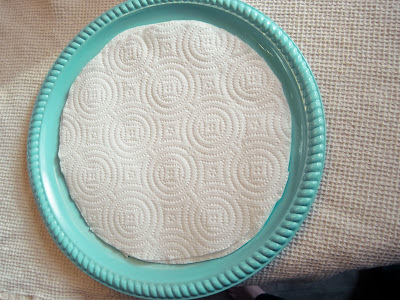 At this point, I would recommend transferring your paper towels to a regular plate that is easily movable and washable. You can transfer the grass to the display stand once it has grown. 6. 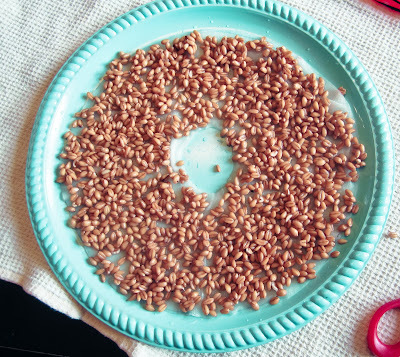 Spread the seeds on top of the paper towels. 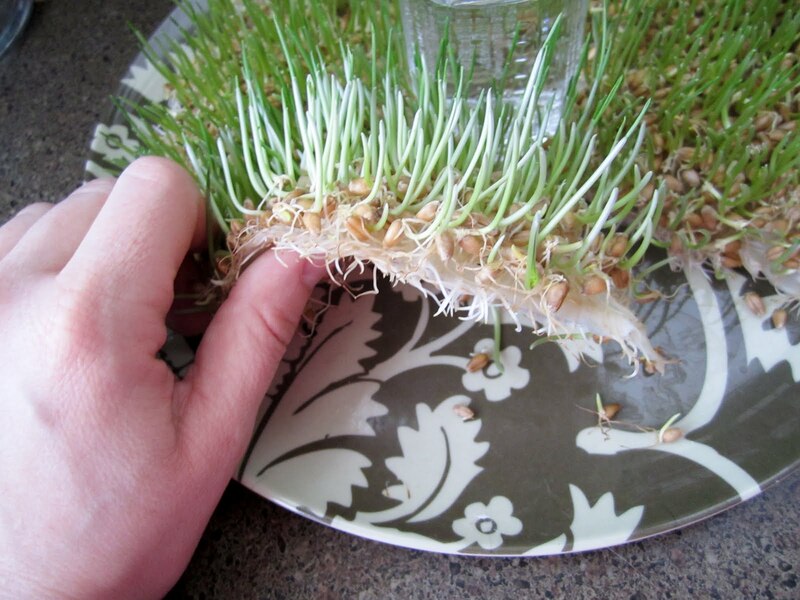 You want your grass to be dense, so the whole surface of your paper towel should be covered with seeds, but they shouldn't pile on top of each other. 8. Wet the paper towels several times (4-5) a day for the next two days. 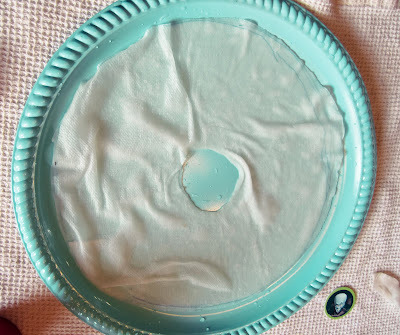 Do not let your paper towels get dry, they should be thoroughly wet, but not so wet that there is excess water on the plate (drain the plate if you have excess water). 9. When you see tiny white little sprouts, transfer your plate to a sunny place, but keep them under wet paper towels. 10. Within 1-2 more days, you should see little green sprouts-hooray! 11. Once you see green, remove the top paper towels, but continue to keep the grass wet, watering 1-2 times a day. 12. When you start to see the little white roots poking through the bottom of the paper towels, you can cut an opening in the paper towel ring open, cutting any roots in your way. Do this so you can slide the grass ring around the pillar on your display tray. 13. By day 10 ( or possibly sooner) you should have a pretty decent crop of grass in need of a hair cut. 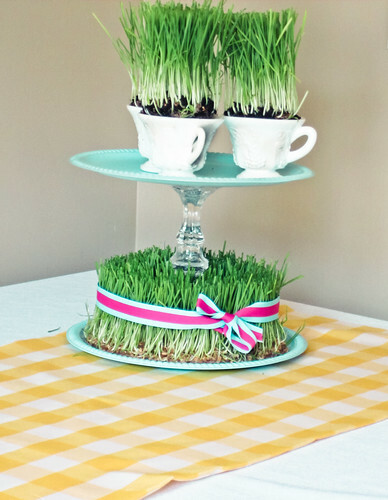 When you have a lovely crop of wheat grass with a fresh hair cut, stack your tea cups on the top of your display tray and slide the grass ring around the base tray. Tie a piece of ribbon around the grass if you like. Enjoy your Easter weekend knowing that you do, in fact, have a bit of a green thumb. I am linking up to Wow us Wednesday at Savvy Southern Style and these sensational blogs this week, I hope you'll pay them a visit! this is really cute! I love wheat grass. 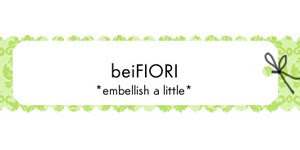 i like your handmade idea - looks really fresh and vibrant - lovely! Are you serious!?! I have been looking EVERYWHERE for wheat grass! And I have buckets of wheat in our food storage! *SMACKING FOREHEAD* This is AWESEOME!!!! I am sooo doing this! And I love that you used your centerpiece that you made! This looks fabulous, Tatum! Great tutorial! 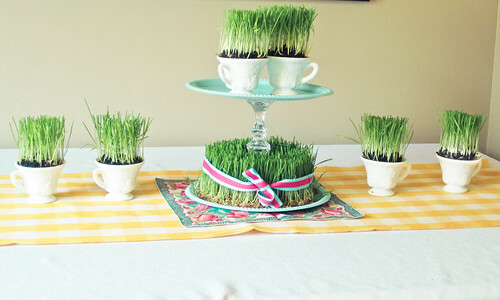 I did wheat grass centerpieces for a tea party baby shower I did awhile back. They were a big hit. you can see them at this link if you are interested. This is such a cool idea. I'm putting it on the to-do list. Thanks! what an awesome idea! perfect for spring!! Good grief, girl, you are so smart and talented! What a fun project, and I'm sure P loved it too. LOVE how the cake stand turned out, too! I absolutely LOVE this post!! 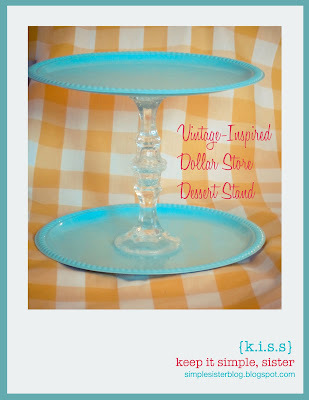 I have a cake stand that just sits empty....I can't wait to do this for Easter!! Also, would you be interested in doing a guest post for me?? That way I could feature multiple projects of yours?? I love what you did! 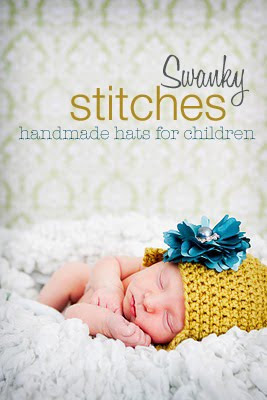 It's perfect for spring or easter. I think this piece can also be done with kids. 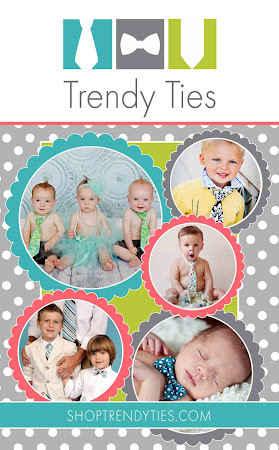 I discovered your blog from Savvy Southern Style. I hope we could develop a connection by following each others blogs. That looks great and very springy!! 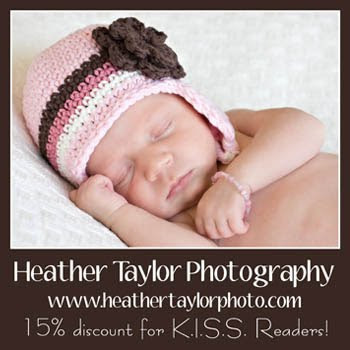 Would love if you stop by my blog!! Have a great day! this is super interesting....i thought you went out and bought the grass! so cute...going to try it. even though i generally kill plants. ha. 12 days to wheat grass this is amazing and we are sooooo doing this next year. Thanks for the inspiration! I do love wheat grass! Never tried to grow my own before, but I will definitely try this! My granddaughter will have as much fun with it as I do! this is so cute! I love wheat grass! and didn't know about the papertowel trick! Thanks! I am your newest follower. This is adorable! I am going to try this with the grandkids. Thanks. 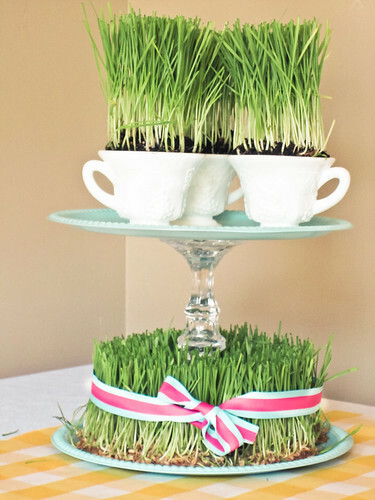 I have always wanted to try to grow grass for a centerpiece. Thanks for the tutorial! I LOVE the addition of the pink ribbon. So cute! Wow this looks so great! So unique! Really cute centerpiece! Perfect for spring! How cute! I have tons of red wheat! I am going to do this! I am your newest follower! That centerpiece is awesome! I came over from Tatertots and Jello! I LOVELOVELOVE this!!!!!!!!! I am going to have to see if I can find some seeds. I totally have those tea cups too, so all I have to do is make a tiered stand. This is such a creative idea, thanks for linking up! love this! 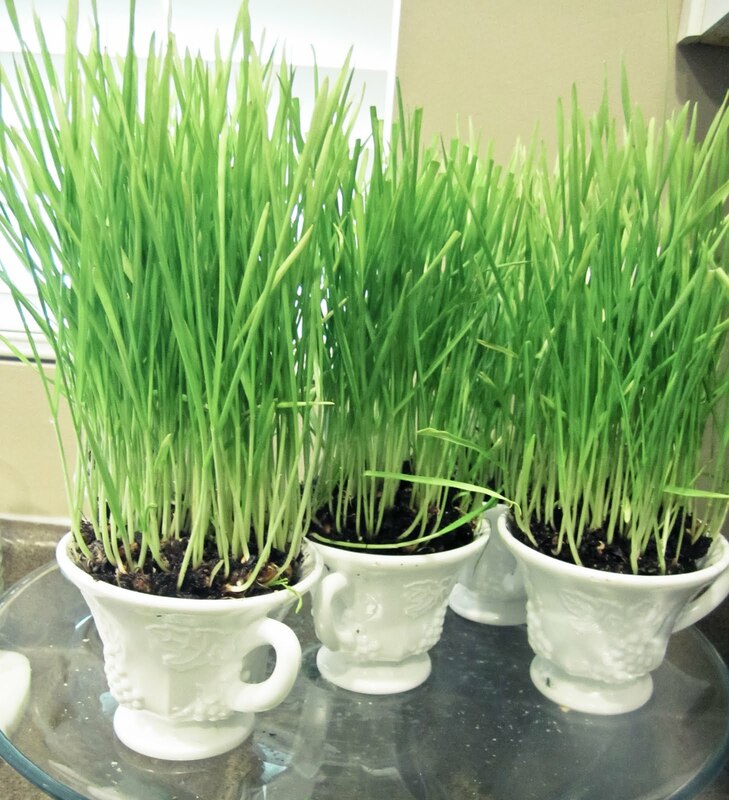 I've got some things I want to put wheat grass in, but I didn't know how to do it. 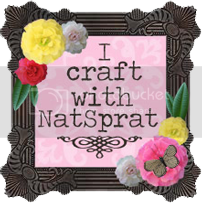 LOVE your blog AND your creativity!!! Those cups are by the Indiana milkglass company and you Stole them at 50 cents each...they are worth about $10-$20 a set of six!!! Looking forward to seeing more of your projects and ideas! Awesome tutorial as usual! I have a black thumb but you have given me hope :) Thanks for sharing, your dessert stand is wonderful too! I love your display! I'm currently on day 7 with my wheat grass. I did have a little molding. :( Leave it to me to mess up a completely easy seed project! But, for the most part, my grass is doing well! I can't wait to see how it fills in! Fingers crossed! This turned out so cute! 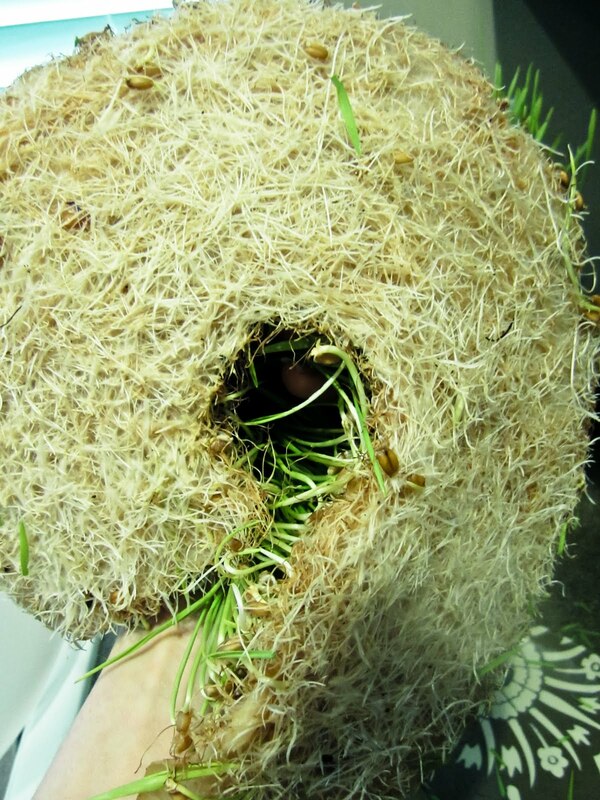 I love wheat grass but never considered growing it because I too, am a house plant killer. I might just have to try this. Love the look and great tutorial. thanks for joining WUW. What an awesome idea! These make the cutest Easter decorations - and to think I almost bought fake grass the other day!! Amazing! I'm starting these TODAY! 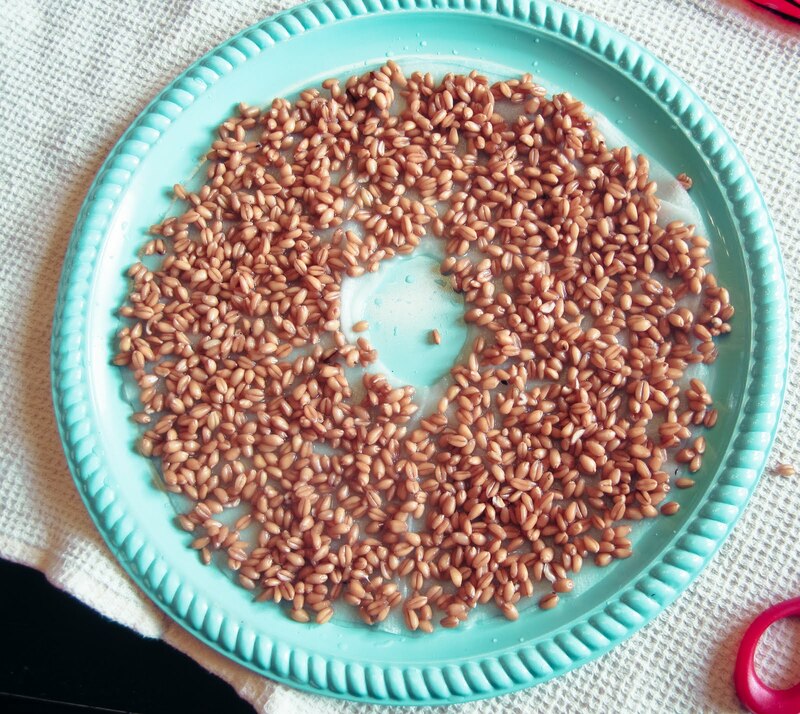 I am having a problem finding the type of wheat grass you used in this tutorial where I live and I was wondering if there is any other type of wheat grass to use or if I could just use normal wheat. I LOVE this!!!! but I can't find wheat seeds anywhere! Do you know some specific places that have it? I love this. Will definatley try with my son. 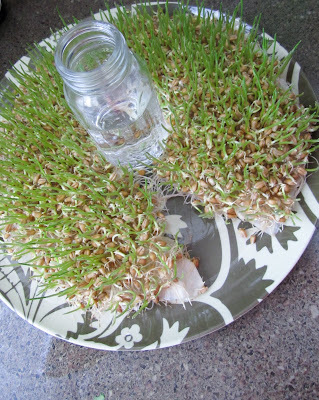 I just had to tell you- thanks to your tutorial- my wheatgrass is doing very well! I blogged about it today! This is super cute. Going out to pick up some wheat kernels tomorrow! Thanks for the tutorial! This is adorable! I just stumbled upon this post, wish I saw it earlier. Will definitely bookmark for a later use. Thanks for sharing! That is so pretty! Such a great idea for Easter/Spring! Thanks for the tutorial! LOVED IT! Thanks so much. I did it and blogged about it. I mentioned you and linked back to you! Thanks for the awesome tutorial. Your centerpieces look so pretty! Thanks so much for the directions on growing wheat grass on a paper towel. I tried it and was amazed with how well it grew! LOVE this! 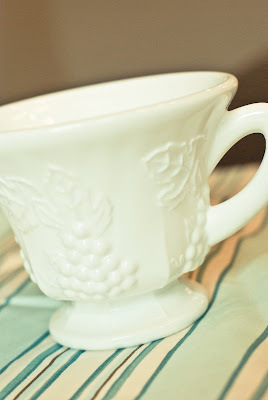 I have so many cups and saucers in little floral motifs that this will look adorable in... Thank so much! Nature will come alive on my desk. Honestly, such a fantastic tutorial. BTW: I want to share this photographs on my home decor blog. http://www.vistastores.com/blog/ So, How can I get it done? Thanks for sharing! I think wheat grass is amazing. It's such a good healthy food source. I'm pretty sure that these flowers are natural. I'd love to have them in my room as well. Anyway, can I also put this outside? I think it would match along with my Where to Buy Artificial Grass at the backyard. 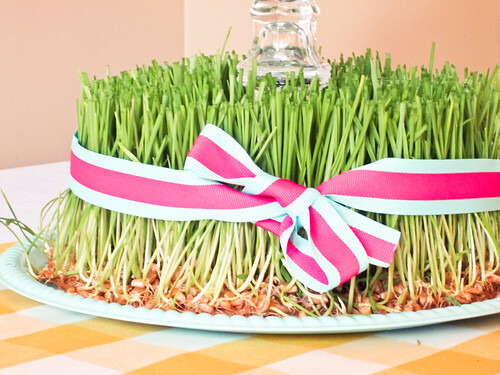 Thanks so much - have wanted to do this but had NO idea how long it would take the grass to grow, so I could do it in time for an Easter centerpiece - am going to do it w/ my 4 yo grandson too! Thanks fore the tutorial. 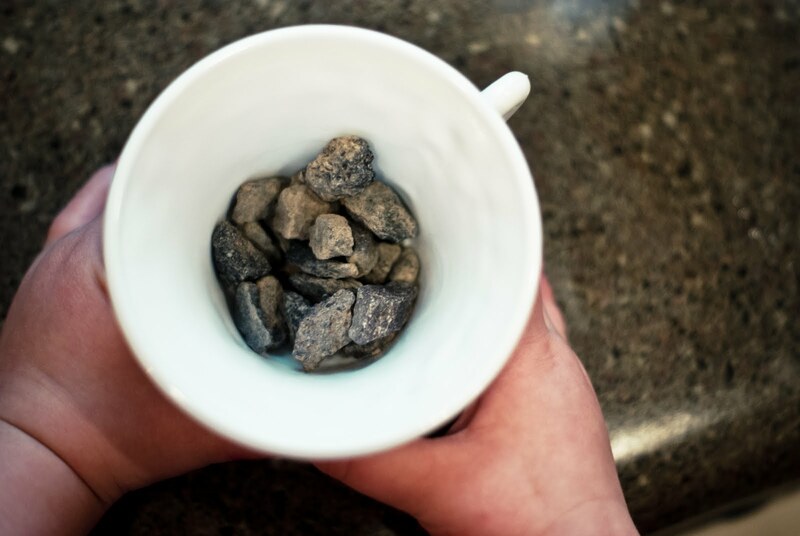 My question is the shape I am using is more like the tea cup, so do I need to use soil for that shape? Also, why don't the roots get moldy on the plate without the rocks? I am using bowls, and was thinking of putting rocks in the bottom followed by some paper towels. Would that work? Thanks.